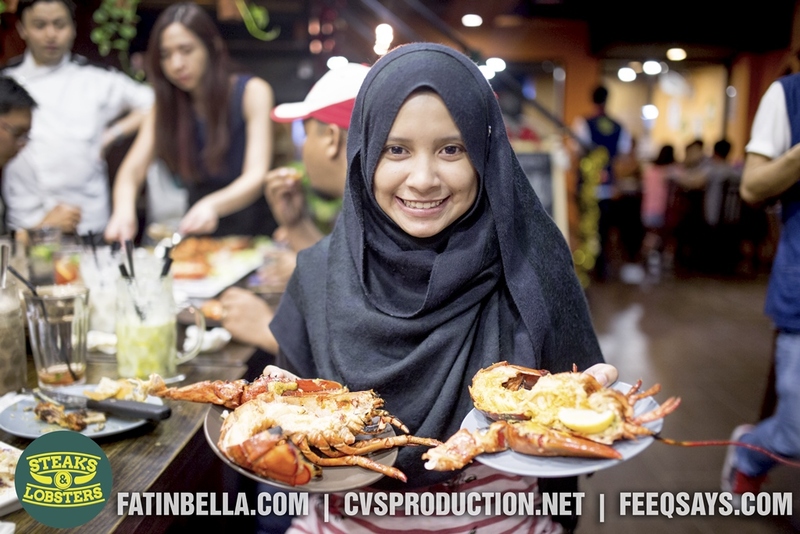 When my other half, Fatin Bella told me there will have a review on Steaks & Lobsters, my heart’s jumping around like a mad man. I’m a huge fan of steaks and I heard a lot of positive feedback from this small germs. 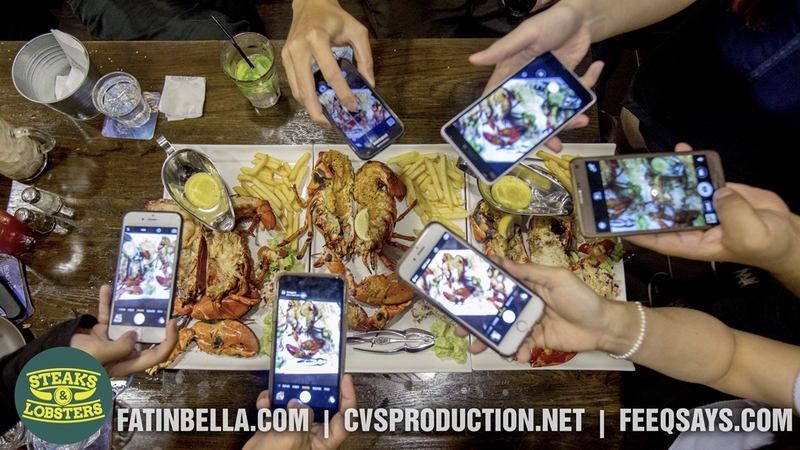 What else would you expect other than good food and fresh lobster? Do read the rest of the entry. At first I thought it just steaks and lobsters, but trust me. It’s more than that. If you are looking for pasta or chicken, they do serve too. Since you already in Steaks & Lobsters, why not give them a shot isn’t? True enough, they specialize in steak and lobsters. Just look at my fiance greedy face… I mean happy face. For those who staying around Desa Sri Hartamas, food is something that you can find in every corner of the building. From Western to Asian food such as Japanese and Korean, this place also well know for football-lepak-session too. The interior of Steaks & Lobsters is isn’t all that fancy. Good for the first impression because it doesn’t look like expensive place, but yet it well kept and clean. If you are wondering where the kitchen is, it’s located on the second floor and the good thing is, you won’t be seeing any fiery action. I do agree with you, Mr Lobster. Steak tastes way better. During my visit, the Wagyu only left few due to high demand. Well, at least I manage to give it a try. There’s few coveted cuts of meticulously selected beef, from Aussie grass-fed to Angus grain-fed to Wagyu. Phone eat first? Let’s jump to the star of the night shall we? There’s a variety of steak that you can choose and every single of it are totally worth for your money. If you want something clean yet original flavor, you might want to consider Wagyu Round Sirloin (RM88) which is my choice of steak. However, if you want something cheesy and filling, then you definitely should try Truffle Fromage Ribeye (RM75) topped with melted cheese and sprinkles of truffle. Last but not least the BOC Ribeye (RM68) with bacon, onion ragu and cheese is sweet and savory is something not disappoint. All steaks come in 300gm juicy and tender beef. How do I like my steak to be done? Medium rare of course. All the steaks come with refillable sides of potato salad, fries, veggies, coleslaw & various sauces, so customers are totally full for the night. There’s many lobster around the world. In Steaks & Lobster, they go for Boston lobsters which is fresh and juicy meat. 900gm of lobsters. For me, I prefer the original flavor, Grilled American Lobster (RM98 / RM195). Totally sweet and juicy. But if you want something not too heavy, then Signature Flaming American Lobster (RM110 / RM205) might suit you. It’s flamed with homemade aoili and topped with addictive roe to give the kicking aroma. It’s served with lemon bernaise sauce on the side. This is the new addition in Steaks & Lobsters. If you are looking for something different, yet original, you might want to give a try a blend of spices like percik gravy with lemongrass, turmeric, spices and chili. Overall the appetizer is something that you can try out if you come with a group of friends since it’s meant to be as an appetizer. To be honest, I would skip it and straight go to the main course. When it comes to pasta, there’s only have two type that I prefer. The creamy (Carbonara) & spicy (Aglio Olio). 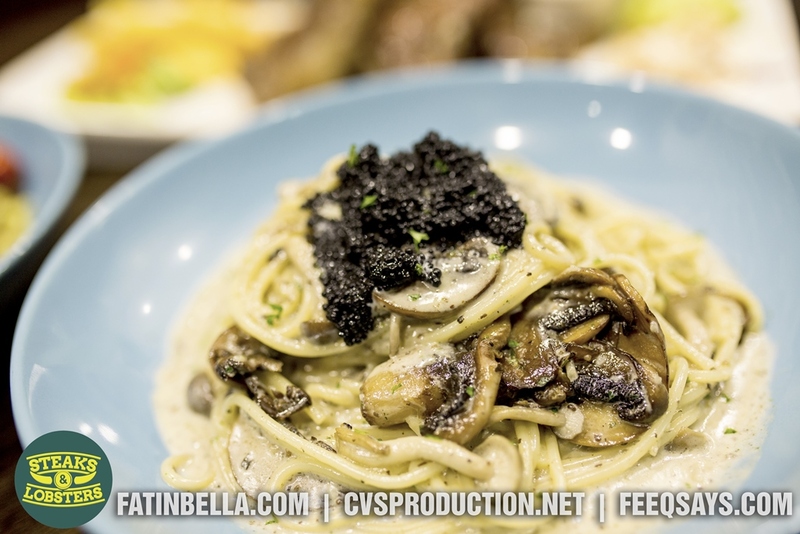 Personally, I love the thickness and how creamy their pasta is and not to mention the truffle at the top of it. Totally worth for the money. If you can’t wait for the star to arrive and need something heavy, you might need to go for their baby lobster pesto pasta. Well, in the terms of tastes, I still prefer their truffle mushroom pasta. Still creamy but baby lobster is the reason why the pesto pasta taste good. Another my favourite, of course their lamb loins. Flew all the way from New Zealand through Air Asia… just kidding. Well, their lamb loins totally tender and juicy. If you are a huge fan of lamb, this meal is a must. I prefer less salt so that the smell and the taste of lamb will be stronger. A little bit dry for me. Not really so fancy with the chicken. The roasted chicken wrap stuffed with Portobello strips, mixed mushroom ragu and cheddar cheese fillings. If you need something light yet filling, you might want to consider their fish & chips. This plate of fish & chips won’t disappoint your tummy. If you are looking for something fresh yet tasty, I strongly recommend Sunset Paradise. I had 3 glasses. Have you tried a milkshake with bacon? Nothing can go wrong with bacon right? Creamy and fully with the flavor is, nothing can beat your choosy tongue. I prefer Mocking the Mocha since it’s contained caffeine. Totally worth your money. What else you expect to end your meal other than this combination of warm and cold dessert? Drizzled with chocolate and caramel sauce, sprinkled with cinnamon sugar and served with a scoop of vanilla ice cream. Thank you Steak & Lobsters for having us.